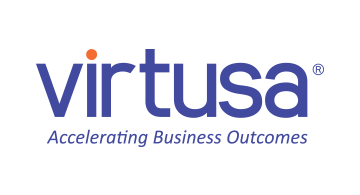 Virtusa Corporation (NASDAQ GS: VRTU) is a global provider of information technology (IT) consulting and outsourcing services that accelerate outcomes for businesses in banking, insurance, healthcare, telecommunications, technology, and media & entertainment. Virtusa's outsourcing solutions enable businesses to improve operational efficiency and reduce IT costs. Virtusa's digital transformation solutions empower clients to accelerate revenue growth and reimagine the customer experience. Through the acquisition of a majority interest in Polaris Consulting Services Ltd. in March 2016, Virtusa has created a robust platform to provide end-to-end solutions and services in banking and financial services, strengthening its positioning as a top, global FinTech services provider. Virtusa Corporation is headquartered in Massachusetts and has 50 offices across North America, Europe and Asia. Polaris Consulting & Services, Ltd. is a subsidiary of Virtusa Corporation. Copyright © 2017 Virtusa Corporation. All Rights Reserved.